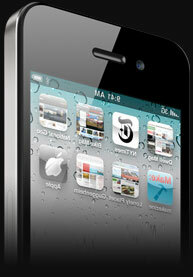 iOS SDK 4.3.1 opens up new zones of iPhone app development as well as iPad app development for the developers. It offers features like AirPlay, iAd Full Screen Banners and Multitouch gestures making it an interesting platform to work upon. One of the most interesting inclusions in iOS 4.3.1 is the third-party access to AirPlay . The all new iOS 4.3.1 provides users with the option to send video to Apple TV or HD TV. Users can stream videos to a widescreen TV using Media Player APIs that support AirPlay video. Earlier the AirPlay support was available to only a few built-in apps (e.g. Safari and YouTube).The iPhone developers will now be able to connect AirPlay with the third party apps. Personal Hotspot feature lets the user share the phone's 3G connection with other Wi-Fi enabled devices when the carriers opt to enable it. This is possible with the iOS 4.3.1. Taking advantage of the large screen of the iPad to grab the attention of the users, iOS 4.3.1 allows iAd full screen banners that provide an appealing and interactive iAd experience. This easy to implement format of iAds is sold and served by Apple to your app allowing you to collect 60% of the advertising revenue generated. Using these feature users can track the popularity of their streams (viewer engagement) and measure the performance. They can further utilize these statistics to fine tune their authoring process and deliver most favorable content. The iPhone iOS 4.3.1 makes available new Multi-Touch gestures for iPad. iOS 4.3.1 increases the speed of the Safari web browser.